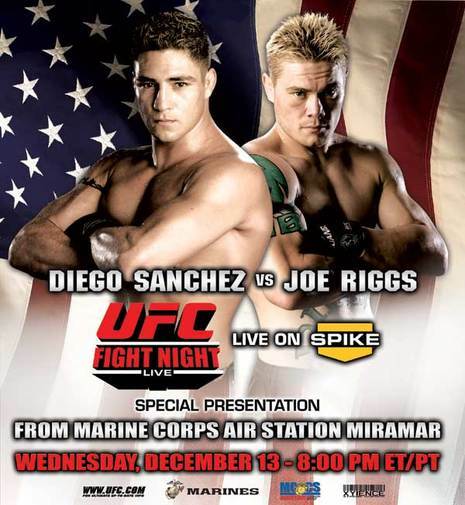 UFC Fight Night: Sanchez vs Riggs referred to by the media as UFC Fight Night: 7 was a mixed martial arts event held by the Ultimate Fighting Championship on December 13, 2006 at the MCAS Miramar near San Diego, California. It was the first UFC event to take place on a military base. The audience consisted almost entirely of United States Marines stationed at Miramar; only five pairs of seats were available to the public via auction. 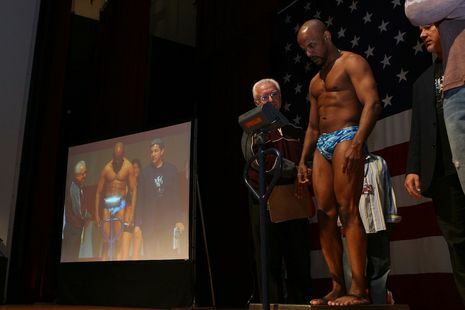 All auction proceeds went to the Marine Corps Community Services Quality of Life Programs for the Marines and Families. The two-hour broadcast drew a 1.3 overall rating on Spike TV. The disclosed fighter payroll for the event was $163,000.